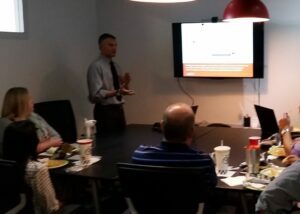 Another outstanding lunch and learn presentation, this time for Studio+ Architects’ Tampa location. Mickey has become quite the lunch and learn extraordinaire! Need continuing education credits? NOVA has a broad range of presentation topics that are AIA approved.